The popular website hairrestorationnetwork.com is a social network with more than 30,000 members created by and for hair loss patients. The vast pool of knowledge on this website allows hair loss patients to learn about hair loss treatment options, discover different hair transplant methods, select a hair transplant surgeon, and stay up-to-date with the latest developments in the field of hair restoration. 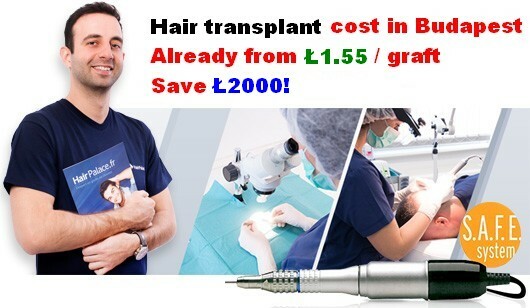 This forum is not only a knowledge base, but also a friendly community in which people of all ages struggling with hair loss can discuss about their problems, share success stories, and share information about different surgical and non-surgical hair transplant methods as well as experience regarding price and hair clinics. Hair Restoration Network has four large sections – hair loss treatments, consult a physician, share with patients, and the multimedia centre section – that aim to educate people about the causes of baldness, hair loss prevention, and treatment options. The multimedia centre section allows members to watch animations and videos about the causes of hair loss, learn more about how hair transplants work, and watch interviews with leading hair transplant surgeons. For those curious to see how an actual hair transplant procedure unfolds, the multimedia centre of the forum also has videos of actual hair transplant procedures carried out on real patients. The hair transplant patient testimonial section of the website contains interviews with patients who have undergone hair transplant surgery and are sharing their stories and experiences. Members can take a look at before and after pictures, get information of the type of hair restoration that was performed, and the number of grafts that were used to achieve the end result. The online consultation feature allows patients to fill out a questionnaire and send their photos to a hair transplant surgeon featured on the website, who will then address patients’ questions and concerns. The advanced search feature allows members to search for a physician based on their location and the type of treatment they need. Forum members can also post questions related to procedures, treatments or any questions related to hair loss and hair restoration, and get answers from contributors and hair transplant surgeons. Whether you’re having hair loss problems or you’re looking for guidance in the field of hair transplant, the Hair Restoration Network is an excellent tool to seek out information, read about tips on how to choose a hair transplant surgeon, to understand what a hair transplant procedure involves, the risks associated with it, see real-life examples of hair transplants, and make informed decisions before resorting to any treatment options. The forum is easy to navigate, and signing up takes only a few minutes of your time. Membership to the forum is completely free, and anyone is welcome to join, whether based in the US, UK or any other country. 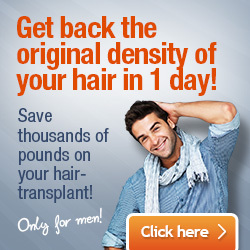 Members can even get a free virtual consultation with one of the doctors recommended by hairrestorationnetwork.com. If you need advice from knowledgeable members and hair loss professionals, or you’re looking to connect with like-minded people or people who struggle with the same issues as you do, then hairrestorationnetwork.com is a welcoming environment where you can discuss about proven hair loss treatments, share your concerns, and get answers to all your questions.